1,ChangZhou LongRen Mechanical & Electrical CO.,LTD is one of leading manufactory of MIG/TIG/Plasma welding torch and parts in China for more than 20 yeas. 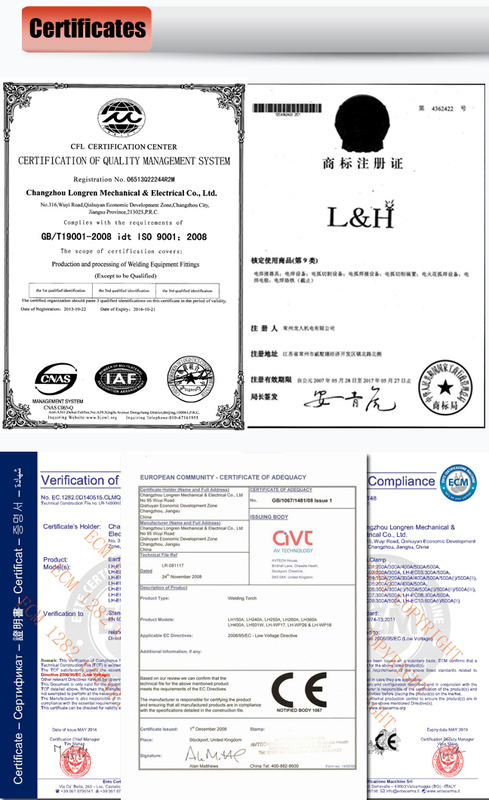 3.Various products certified by CE and ISO9001:2000 quality management system. 4.99% products are exported to all over the world and gain high reputation from customers on the basis of best quality and Service.